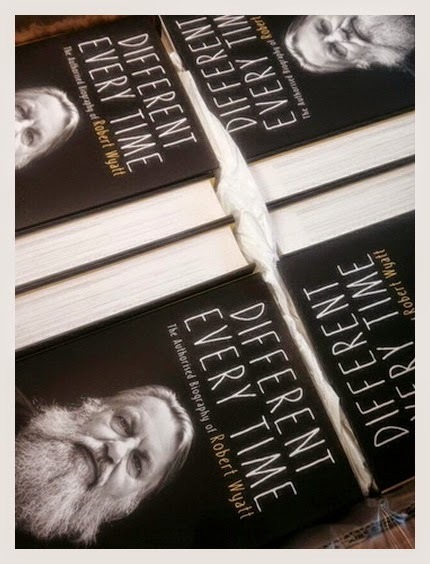 Robert Wyatt torna a conversare in pubblico con Marcus O'Dair in occasione del lancio ufficiale del libro biografico Different Every Time: domani a Londra alla Royal Albert Hall, a partire dalle ore 19.30, nell'ambito del London Jazz Festival. In programma ci sono anche la proiezione del documentario Free Will and Testament: The Robert Wyatt Story e alcuni interventi musicali a cura di Orphy Robinson. Prima dell'appuntamento si può far di peggio che leggere l'intervista - ottima - concessa a Ryan Dombal per Pitchfork, ricca di spunti musicali, culturali, politici e autobiografici. Con una precisa idea sul perfetto cantante pop: "When I did I'm a Believer, I shifted the chords to sound a bit more influenced by McCoy Tyner, who played piano with John Coltrane. And then I sang in my own accent, of course. It's about being comfortable with your own voice and your own way of doing things, and it's been a difficult journey. From the start, the people who interested me were women, and I'm not one. To me, the perfect pop singer was Dionne Warwick. But I thought, "OK Robert, you're not Dionne Warwick." So I thought, "Well, Ray Charles." Then I looked in the mirror and I thought, "Robert, you're not Ray Charles either. You'd better stick to being Robert. Just get what you can out of that." Benedetto uomo!